Botticelli's "Birth of Venus" in the Uffizi Galleries, Florence. 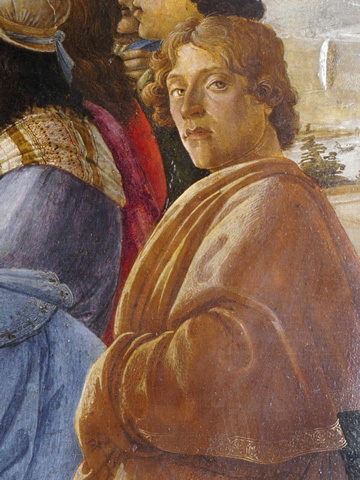 A self-portrait of Sandro Botticelli, a detail from his Adoration of the Magi in the Uffizi Galleries.The great early Renaissance painter Alessandro "Sanrdo" di Mariano di Vanni Filipepi (1444–1510) will forever be known to history by his nickname Botticelli ("Little Barrels"). He is, perhaps, quite thankful that history has conveniently forgotten just how he got such a silly nickname. The star pupil of Filippo Lippi (he repaid the favor by later becoming the teacher of Lippi's illegitimate son Filippino Lippi), Botticelli perfected a style of lipid colors, flowing lines, and elegant figures that made him an instant smash and one of the most sought-after painters of his day. He created some of the most glorious, analogy-packed mythological scenes of the early Renaissance, celebrating the new-found Humanist movement of celebrating man's ability to reason and his long history of science, art, and myth—most notably the Birth of Venus and the Allegory of Spring—painted for a Medici cousin's country estate; now both hanging in the same room of the Uffizi (alongside many other Botticelli paintings). Later, Botticelli became enamored—along with much of Florence—with a firebrand preacher named Savonarola. He converted to a much more pious lifestyle, repudiated his earlier works (and, it is said, even burned some on the infamous Bonfire of the Vanities), and spent the rest of his career cranking out technically brilliant but vapid Madonna and Childs and other works of a strictly religious nature. 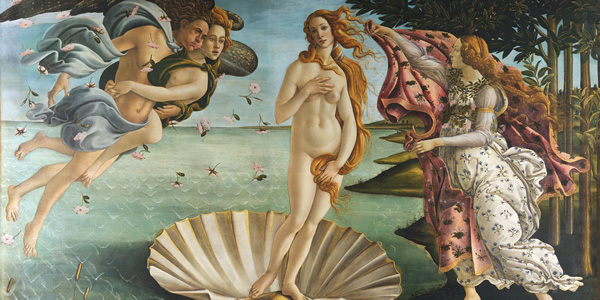 The Uffizi - The Botticelli mother lode: The Birth of Venus, the Allegory of Spring, a passel of Madonnas and Holy Family scenes—basically, if it's by Botticelli and you've ever seen it on a postcard, Christmas card, or PBS special, the original is here. 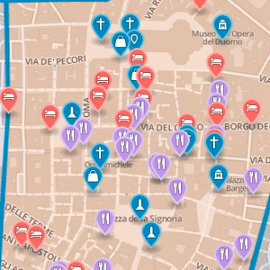 The Accademia - The Madonna del Mare is often attributed to Botticelli (though it may have Florence Combo: Skip-the-Line Uffizi Gallery, Vasari Corridor and Pitti Palace Palatine Gallery Tourbeen Filippino Lippi). Pitti Palace - Two minor portraits, one of a young man in a floppy hat, the other of a skinny young woman in a wimple.